I collaborated with Amanda Chemeche on a project based on Open City by Teju Cole—specifically, the historical references the narrator Julius makes with regards to lesser-known, often quite horrible events that happened in Manhattan’s past. We were both interested in how a single geographic space, such as the streets of downtown New York City, could be the location of so many dramatic events over the course of time; each successive generation erases so much to make room for new buildings, new streets, new cultural traditions; but at the same time, elements of the past can still be seen in the bones of the contemporary city. Pearl street, for instance, got its name from oyster shells left by the Lenape, when the waterline still reached that far. Broadway and Wall Street existed when Manhattan was still a Dutch colony. The city may be a palimpsest, but erasure is rarely so clean-cut as to leave nothing behind. I was inspired by Amanda’s presentation on exploded axons, and together we proposed a location-based phone app which overlays historical maps, with significant locations marked, onto the modern map of New York City. Users can choose which historical map to follow on their screen, then seek out marked locations in real-life Manhattan. Once they walk close enough to a marker, they will then be able to access visuals and sound recordings that reveal some facet of the site: cultural, historical, or simply self-reflective. Amanda and I chose four watershed events in Manhattan’s past to create maps for: the Lenape seasonal trails, the founding of New Amsterdam, the Draft Riots of 1863, and 9/11. My particular focus was finding and curating sounds specific to the time period and location. Amanda focused on images, documents, and building the maps. My original intention was to use all sorts of sounds—animal calls, people on the street, laborers at the docks, multilingual dialogue, music, even pertinent literature or first person accounts—but though I succeeded to some extent, sound recordings for everything except the 9/11 layer were very hard to come by. Recording technology was not readily available before Thomas Edison invented the mechanical phonograph cylinder in 1877. And even when recordings do exist, how do I select sounds related to the incident I am trying to comment on? When there are modern recreations based on historical documents describing the sounds, how do I use them as intelligible commentary past violence? Each layer presented unique challenges. Researching Native American music provided fascinating insight on the diaspora of the East Coast tribes. It also forced me to confront how ignorant I am about Native history. While many Native songs contain the stereotypical elements of drumbeat, dance, and chants, there are obvious distinctions between music from, say, the Plains (what most Americans think of when they think Indian) and the Northeastern Woodlands: first of all, Northeast music is performed indoors, in wooden longhouses, and it uses a totally different language group. There do exist descendants of East Coast tribes like the Lenape throughout the country, but finding recordings of Lenape music specifically was a trial. YouTube videos of ceremonies in modern reservations tend to be poor quality in terms of actual sound, and DRAM, Smithsonian Folkways, the Yale Music Library, and Alexandria Street turned up almost nothing. Iroquois music, however, is relatively abundant. The nations of the Iroquois were mortal enemies of the Lenape, but they belong to the same language group and share many cultural and musical traditions, so for convenience’s sake I conflated the two tribes. I found Iroquois music recorded in the 1900s from New York, but also from Canada, from California, and from New Mexico, reflecting both the way East Coast Natives were forced to scatter during European expansion and the cross-cultural spread of music as diverse tribes had contact with each other in reservations. I was also lucky to find work on natural sounds from the time period that had already been done by the Calling Thunder project. In fact, this project brings to life the same concept I had, but only with four marked locations in 1609 Manhattan, with a much higher quality of video and sound production—which is probably a hint that I was overambitious to go for four whole layers. It’s exciting to know that many other people have shown interest in this concept of mapping historical sound. The first settlers of New Amsterdam were not typical Dutch citizenry: about half were actually French Walloons, and all of them were fleeing religious persecution to practice Reformed Protestant Christianity. As such, religious music was my dominant focus—I have a dozen recordings on the topic that I cast out. I picked a recording that actually sounded like I was overhearing a Dutch or French congregation singing the Genevan psalms of the Reformed Church. As the settlement grew, it became a major port city, and a priest visiting the city in its heyday reported hearing 18 languages. There were so many forces tangled in that small tip of Manhattan: the various Native tribes, their own intertribal conflict intensified by the introduction of rifles, trying to navigate a tenuous trade relationship with Europeans. The Dutch and the English vying for control over the land. A Protestant, puritanical schout frustrated by rabble-raising sailors who kept the taverns and brothels in booming business. Since Julius doesn’t mention a specific event from the time period, I tried to capture the general atmosphere of the place. I looked for movies or dramatizations that accurately depict New Amsterdam, from which good sound recordings would follow. But it seems that, while there are many first person accounts of the settlement, nobody has tried to recreate it in film or sound yet (at least that’s available in America). Certainly something I wish Hollywood would capitalize on. Speaking of Hollywood, Gangs of New York is a three-and-a-half-hour movie about the exact event I was researching, the Draft Riots of 1863. Who would have thought Martin Scorsese could help me in a research project? The movie privileges the Irish perspective and indulges in gory violence among the Five Points Gangs, but it shows the sense of fury and futility inspired by the Civil War drafts in some very effective short clips, and its soundtrack contains both music that would have been played in NYC in 1863 and modern music that could provide commentary on the violence. One thing I discovered is that the clips of the actual riots did not seem useful for the project at all. The sounds of the riot were either unintelligible or predictable: shouting crowds, breaking glass, gunshots. I could mix the same thing with clips from freesounds.com. There’s a reason Scorsese mostly buried the sounds of the riot in music, narration, or significant dialogue: by itself, sounds of chaos inherently don’t make sense. I cannot find the intellectual significance of forcing my audience to listen to a mess of angry shouting. Perhaps if I visit the actual Five Points site in NYC I will reevaluate my position, but for the project, I found it much more interesting to focus on the music, with the composers’ clear intent and cultural context. The most recent layer was easiest in terms of finding material, but most difficult in terms of the moral implications of what I was doing. There are countless audio recordings related to 9/11, mostly in the form of phone calls sent to and from victims of the attack. Everyone trapped in the building was calling 911. These civilian phone calls—quite possibly the speakers’ last words—are still archived but not open to the public due to privacy laws, except for the recording I used in my project. For the first time, my material consists of the terrible deaths of people who could easily have been me, whose families and friends still survive. You, reader of this reflection, probably remember seeing the news hit on TV. I was just barely too young to remember now, and I admit that the weight of the tragedy didn’t hit me until I visited the 9/11 museum and heard a voicemail left to a firefighter who had died when the towers collapsed. “I know you’re probably out there helping people,” said the firefighter’s friend. “But call me when you get back, so I know you’re okay.” Earlier, I had snuck my phone out and recorded other sounds in the exhibit: people recounting what they saw that day, the shrill PASS distress signals coming everywhere from the rubble in the aftermath. But I did not record the voicemail. I could not. It was not for me to own in the palm of my hand. I brought this upon myself. “Sound could immerse and transport the app player into aspects of a location,” I arrogantly proclaimed in my project proposal. And then I listened to people die. Reich’s album is a perfect example of two ways real trauma can be reimagined and profited from in art. The visual reeks of using shock value and real horror to sell content; it’s unimaginative and tacky, and it leads nowhere beyond “Look at what happened! Isn’t it horrible?” The music itself is a different story. A Slate article by Seth Colter Walls puts it succinctly: “The majority of ‘WTC 9/11’ focuses instead on dealing with the tragedy after the fact…Reich’s composition is clearly the product of a mind working on several tracks with respect to 9/11. City-dwellers (as well as cable news watchers) naturally retain distinct memories of watching the buildings fall. 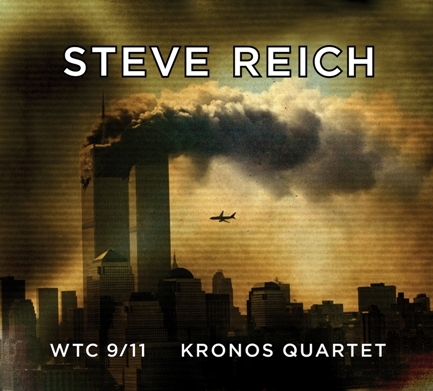 But the variety of sources used in the piece suggests we have other intellectual and spiritual concerns about 9/11 worth investigating, beyond the re-enactment of trauma.” The profit we gain from listening to Reich’s music is the type of profit I’m trying to give my audience, and myself. I mostly kept out of the actual map-making process due to my unfamiliarity with architecture software, only offering aesthetic advice and supporting historical research. Neither Amanda nor I predicted how complicated making the four historical maps would be. Since what I had in mind was a more Pokémon Go type game, I was very excited when Amanda suggested using WalkJogRun and VisualEyes as interactive platforms to overlay archival maps on modern Manhattan and create digital pins to attach our files to. But then the archival maps proved inadequate, and Amanda decided to rebuild the entire city of Manhattan four times over with architecture software—and the work involved was so extensive that the concept of using interactive platforms was thrown out entirely, and the final project was presented as a PowerPoint, a research tool in book format. I wish I had been more proactive about finding ways to help with the mapping and to keep the project’s format interactive. I find the end result impressive, but regrettable for the purposes of my focus. A book works best for the way the historical maps were built, and suits the visuals well, but I curated my sounds with the understanding that listeners would be standing on site, engaged 360 degrees with the world around them, and would be able to view the images on their phone simultaneously. Sound recordings just don’t work when you have to stay on the same PowerPoint slide for five minutes to finish listening. I am also aware that more time was spent on building the maps than I spent researching sounds, and I regret that there was not a more even distribution of work. Of course, it’s too late to change the way the maps were built. But if we continue working on this project, I hope we will at least redesign the format to integrate the sound in a way more conducive to listening. I also hope to have room to include more background information for each image and sound recording we attach to the maps. Finally looking at the finished project, after months of listening to records and doing historical research, I can’t help but feel that my work is vastly incomplete. The tip of Manhattan, tiny compared to the rest of the world, contains a web of influences that feels massive in proportion to the history of America: the chaotically conflicting powers in the colonial era, the explosive rage of Irish immigrants in the Civil War, the sheer disbelief that accompanied the horrors of 9/11. Each of these historical events has entire volumes dedicated to recording and analyzing exactly what happened. My research was just skimming the surface, a wildly haphazard journey through the history of sound. But the experience of making this project with Amanda has taught me so much about the DNA which makes up Manhattan and the rest of my country, as well as strategies of approaching national and personal trauma.